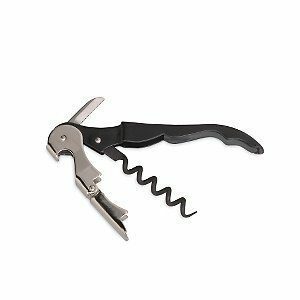 Wine Enthusiast Waiters Corkscrew Just $1.96 Ships FREE! You are here: Home / Great Deals / Amazon Deals / Wine Enthusiast Waiters Corkscrew Just $1.96 Ships FREE! Get ready for your upcoming holiday parties. Head over to Amazon to order a Wine Enthusiast Waiters Corkscrew for Just $1.96! Shipping is FREE! At this price, get a few and pair them with your holiday wine gifts!